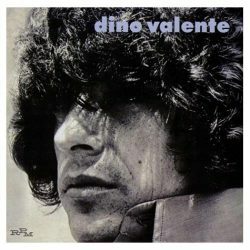 In February 1968 Dino Valente entered the CBS studios in Los Angeles to record what would be his only solo album. Although he was known at the time as the underground Bob Dylan, Valente probably had more in common with Leonard Cohen circa Songs from a Room. The common denominator here was CBS Records producer Bob Johnston who was assigned to Valente post working with Dylan on Highway 61 Revisited and Blonde on Blonde and who would go on to work with Cohen on the aforementioned Songs album. This re-release complete with a couple of bonus tracks, allows a new generation to hear this philosopher/poet sing songs described by Valente himself as having a little madness and sentimentality in them. Johnston believed in giving his artists free rein and the freedom to take their music in pretty much any direction they chose. Although there are supporting artists at work on some of these tracks this is mainly a vehicle for Valente alone with acoustic guitar and poetic lyrics and it is on these songs that the obvious Dylan comparisons seem most valid. New Wind Blowing is as good an example of this sound as any but, unlike Dylan, Valente is not obviously trying to change the world here. His songs are specifically directed at the women in his life. Johnston is famously on record as saying that his abiding memory of these recording sessions is of an entourage of girls in the studio, a virtual cult-like following. So it is that on this track we hear a passionate exhortation for his woman to recognise the new wind blowing in his mind as he looks to move on. That said, there are hints within these lyrics of the huge social changes that anyone living in the Bay Area of California during that so-called Summer of Love were witnessing. With that in mind New Wind Blowing could just as easily be a reference to that environment. Similarly, Children of the Sun ‘then come away, take the lead, know your mind, there’s no time to weep for those who’d rather sleep behind, know as the rivers run, you are children of the sun’ appears as a clarion call for new recruits to the spirit of free love. Tomorrow offers the most significant change of pace on the album with melody, strings and drums producing a much fuller sound that leaps out as an album highlight and perhaps hinted at the direction that Valente’s membership of the psychedelic rock band Quicksilver Messenger Service (QMS) would subsequently take him. 50 years have blurred the edges of fact and rumour around Valente’s musical legacy, around timings and his impact on QMS, his jail time for drugs offences and his later work. Dino Valente died November 1994 at the age of 57.